Surly just received label approval for their bottles of 2011 Darkness (if you can’t read the print click the picture to view the full-size version). 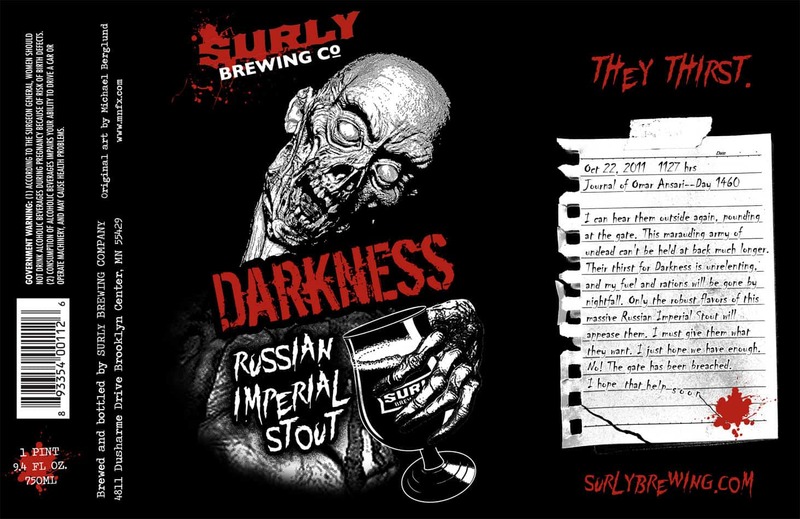 Available on Darkness Day 2011, Saturday October 22nd, this big Russian imperial stout will look to feed the hunger of the thousands of craft beer fans from all over the country journey to the brewery each year in search of it. Bottles are also available in local liquor stores the week following Darkness Day.